I arrived at the Indian Wells Tennis Garden to interview the pros and was greeted by unfamiliar sounds for the prestigious venue. Loud music, laughing, chatting, and the sound of plastic wiffle balls filled the air as I was introduced to the professional world of pickleball. Pickleball fever is sweeping the nation. It is one of the country’s fasting growing sports with over 3.1 million players, an 11.3% increase from last year, with 75% of the core participants 55 and older. 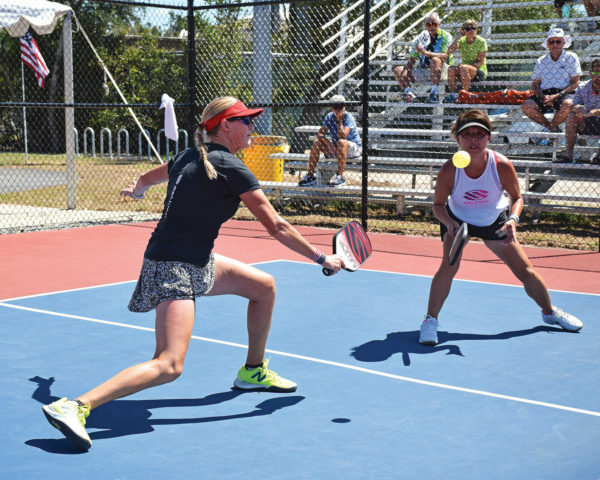 The USA Pickleball Association’s (USAPA) Places 2 Play database is now close to 7,000 known locations with an average of 118 new facilities being added each month. Now the Indian Wells Tennis Garden has repainted 12 tennis courts into 45 pickleball courts as they welcome the sport’s largest tournament, The USA Pickleball National Championships, November 3-11. 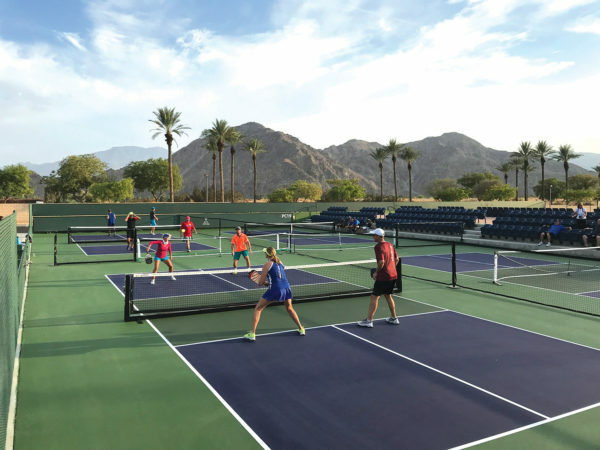 The regulation court design will be transformed back to tennis for the 2019 BNP Paribas Open, and then back to pickleball considering their 5-year contract with the tournament. The tournament will bring over 2,000 players from around the globe together with many valley pros and amateurs competing in about 140 different divisions. The Championship Court will feature seating for up to 3,000 spectators who will also enjoy live entertainment and various food options. 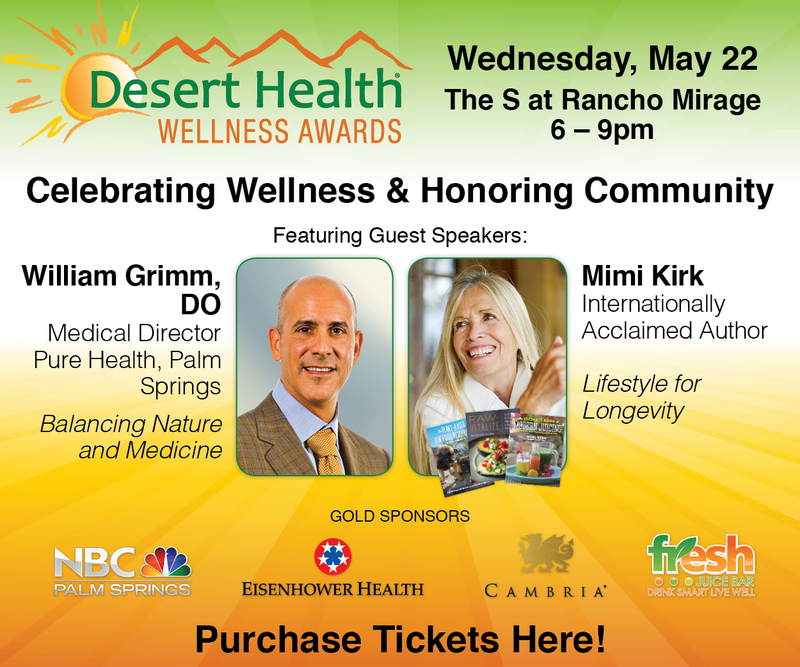 “We are thrilled to partner with the USAPA,” says Fred Hartzman, Indian Wells Tennis Garden Club Director. 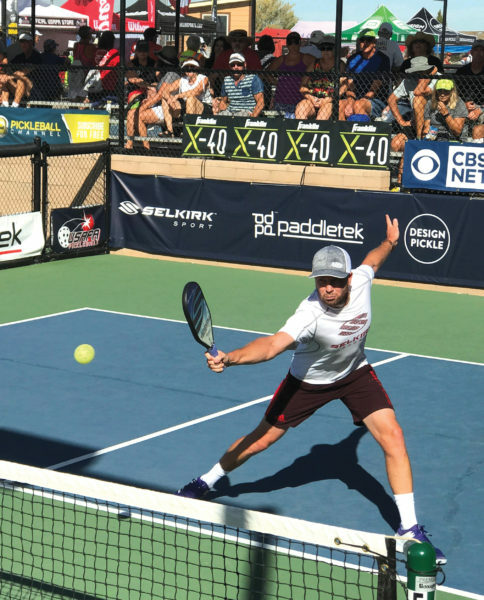 “It is exciting to see how quickly pickleball has grown and the buzz it has created.” Both the Indian Wells Tennis Garden and USAPA feel that this location will help elevate the sport like no other. What defines a pro? 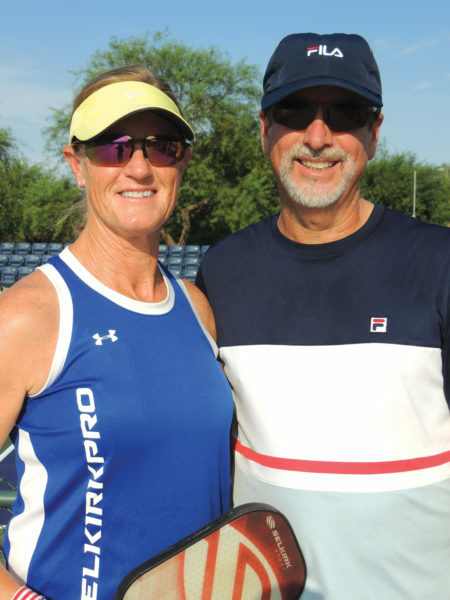 Rankings, winnings, and sponsorship, says Jagd who is sponsored by paddle manufacturer Selkirk Sports, and many pros do make their sole living through teaching, coaching, writing articles, commentating, playing and prize money. Prize money currently reflects the infancy of the sport. The winning purse at Nationals last year was $25,000. Pickleball is played on a smaller court than tennis as singles or doubles. Marcin Rozpedski, a former top 250 in tennis is now in the top 5 in pickleball. He won the Polish Nationals at age 18 and moved to the U.S. to play tennis on a full scholarship at UCLA. He is now the sports director at The Lakes Country Club in Palm Desert and admits that he first looked down his nose at pickleball. “My members were pushing me to put in pickleball courts and I didn’t take them seriously. But once I started playing, I fell in love with the sport and gave it a chance.” The Lakes now has 9 courts and hosts a national tournament each March. In three years, the club went from 10 players to 120 with many new memberships attributed to their world-class pickleball facilities. 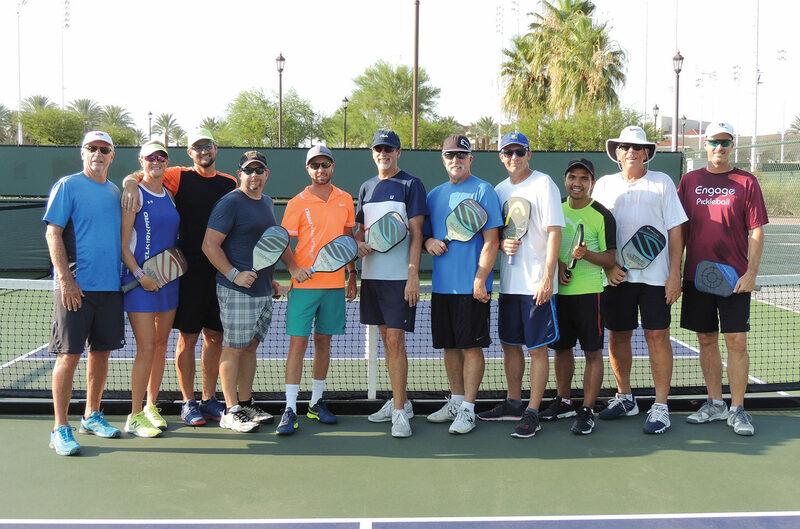 There are now 25 local clubs in the Desert Pickleball League and growing. Hosting the nationals at the Indian Wells Tennis Garden is certain to shine the spotlight on the sport and will be an ideal event setting to attract new fans. “We are ready for Pickleball to make its mark in Indian Wells and to see the growing sport in action,” says Hartzman. The USA Pickleball National Championships will be held November 3-11 at the Indian Wells Tennis Garden. Entrance to the grounds is free, with tickets to the Championship Court ranging from $10-$50. For more information visit www.USAPA.org.